Blog Want to know more about being a SUP Yogi? Want to know more about being a SUP Yogi? Is your yoga routine getting a bit boring or is it getting a bit out of date? If you’re looking for a new challenge to your yoga routine, SUP yoga or yoga on a stand up paddleboard is growing in popularity. Instead of doing yoga poses on land, this new challenge in yoga is to do it on a paddleboard over a body of water. All over the US, more and more yoga lovers join this new, exciting and engaging way of enjoying yoga. SUP will reinvigorate and push you to be an even better yogi beyond unimaginable while enjoying the beauty of nature around you. As the days go by, the SUP yoga community is getting larger each day, so why would you let yourself get left out? 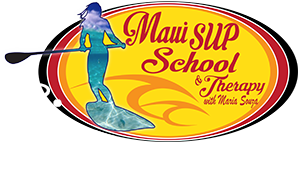 Join the bandwagon today to learn why more and more people get interested to learn the SUP yoga. Or, why not read the following reasons why you should try yoga on a stand up paddleboard first before trying it out? Here are the reasons why you should try yoga on a stand up paddleboard. It’s good for your health. Since the test of time, yoga has been known to be highly essential to one’s health. Aside from reducing your stress, it tones, stretches and strengthens your body, making you feel extra amazing. Through combining yoga will natural elements of nature, from the fresh air to the water and sunshine, you obtain the added benefits which only nature can provide. Most especially if you’re a nature lover, SUP is definitely for you. Anyone can do and learn it. 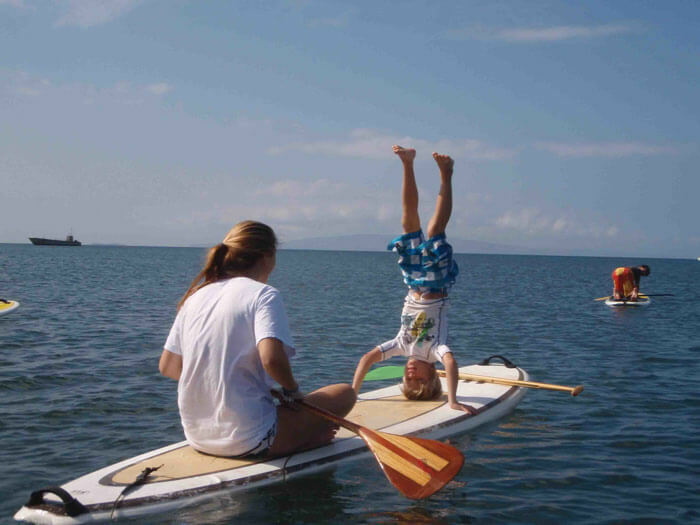 From toddlers to adults, everyone can do yoga on a paddleboard. This is the greatest part about it. Compared to other board sports, SUP yoga doesn’t require much technical skills. Over time and practice, you’ll get better and stronger to be able to perform more advanced poses. If you can do yoga poses on land, then you can do that on the board too. Helps you concentrate more on your breathing. A common technique which yoga emphasizes to relieve stress is to breathe peacefully without thinking of anything. With SUP, you can focus more on your breathing as the sound of the water is believed to soothe the mind. Also, some research proves that listening to the sound of water helps a person to relax. The water’s gentle lapping sound while you’re on a paddleboard will help you settle down, which is the best thing about yoga. A new way to appreciate nature. Can you imagine yourself doing a yoga pose on a paddleboard in the company of dolphins, fishes, whales and other sea creatures living underneath you? Also, if you have fear of water, this is a good way to overcome that fear because you are always safe. Your board keeps you afloat. So now what? You should try yoga on a stand up paddleboard, go and invite your friends to try it too. It will surely be a great way for all of you to bond.